We are excited to announce a huge victory for Ride and transit riders alike! 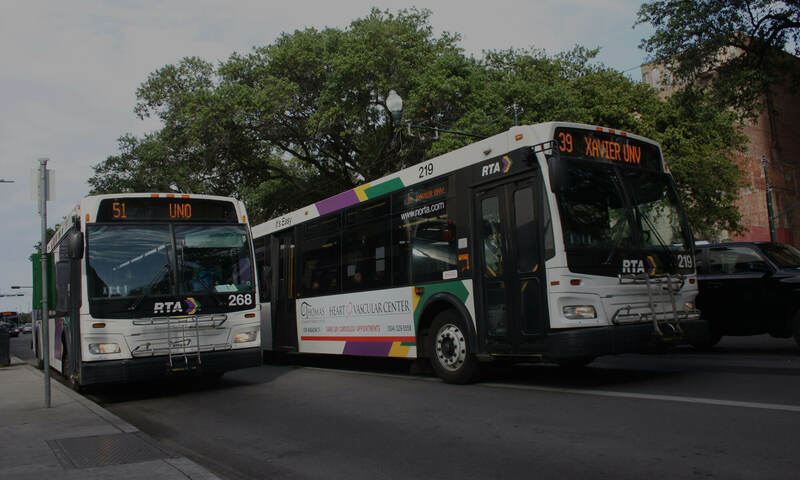 After several months of lobbying from Ride and community partners, on Tuesday, the RTA board voted unanimously to formally approve a new Riders’ Advisory Committee (RAC) at the agency. RAC will allow the RTA to better understand the concerns and ideas of bus, streetcar, *ferry, and paratransit riders. Apply to join the Riders Advisory Committee at the RTA today! What does RAC mean for transit riders? In the past, riders have only played a passive role in the formulation of transit policy–riders were invited to comment only after the RTA invested a significant amount of resources to develop a formal plan. Now, with the development of a Rider’s Advisory Committee, riders can proactively request changes they want to see in plans, schedules, routes and more! Please join us to celebrate this victory! Back in February of 2013, the Foundation for Louisiana, Greater New Orleans Foundation and JP Morgan Chase Community Giving hosted an Equity Caucus bringing community members and non-profit groups together to discuss issues of inequality in transportation and other aspects of New Orleans life. Out of the Equity Caucus, the Transportation Working Group was formed, and with Ride’s leadership and support, neighborhood leaders and community advocates gathered together and identified reforming the RTA’s public engagement process as a top priority. Members of the group then brought their proposal for a standing riders’ advisory committee to the RTA Board Chair and Veolia Transportation, a contractor who serves as the RTA’s staff. Starting from our initial group proposal, RTA and Veolia, in conversation with the Transportation Working Group and Ride, developed guidelines for the committee to be submitted for an RTA Board vote. Tuesday, close to a year’s worth of hard work has paid off, and bus, streetcar, *ferry, and paratransit riders now have a venue to make their voices heard! We want to thank everyone who helped and supported us in this effort: RTA Board Chair Salvador Longoria and RTA Board member Flozell Daniels; the Foundation for Louisiana and the TOGETHER Initiative; the Transportation Working Group; and Veolia Transportation staff members Judith Dangerfield, Stefan Marks, and Janice Abadie. We can’t wait to help RAC grow and thrive. Ride will continue to support transit riders by working with the RTA and RAC to make sure the committee is a success! Want the full details about the new committee like membership criteria, meeting schedule, governance, and more? Check out the full policy here. Happy Mardi Gras, transit riders! *Currently, the application for the Riders Advisory Committee only lists bus, streetcar, and paratransit as transit options. The RTA has recently taken over ferry operations from the state, and we expect ferry riders to be included. We are exploring this omission, and will report back with more info when we have it.